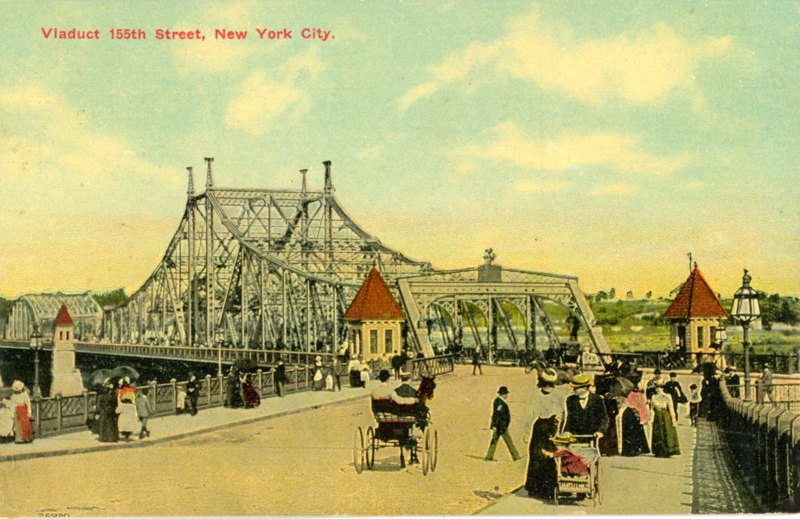 Turn of the century New York had many millionaires. Some built Fifth Avenue palaces for themselves, while others invested part of their fortune in better housing for others. Henry Phipps did both. A steel magnate with a Fifth Avenue mansion, Phipps constructed model tenements—cleaner, more livable multi-family residences than the typical city tenement, which was a hastily constructed firetrap packing many people in airless rooms. “I shall like the buildings to have all the light and air possible; to have them fire-proof and thoroughly sanitary, and so far as possible, to have spaces around them in which the children could play,” he said, according to a 1905 New York Times article. This wasn’t a charity; Phipps put up the money hoping for at least a minimal return on his million-dollar investment, which he planned to use to build more tenements. 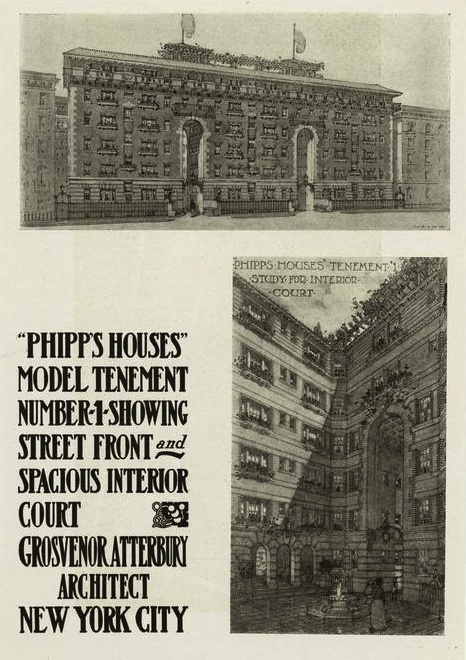 The first Phipps model tenement went up two years later at 325 to 335 East 31st Street. About 150 apartments housed 800 residents, who enjoyed steam heat, hot water, laundry facilities, tub baths, and rooms with windows that opened to the outside (rather than a filthy air shaft). 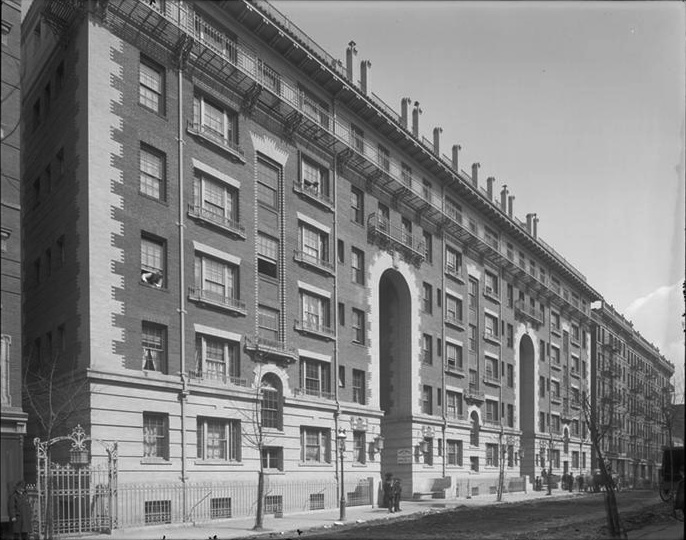 By 1912, two more Phipps buildings were built on West 63rd and West 64th Streets; they were occupied mostly by black New Yorkers in what was then an African-American neighborhood called San Juan Hill. Why only three Phipps houses in Manhattan, especially when two out of three residents lived in a traditional tenement, and better housing was desperately needed? Perhaps because the market-rate rents ended up attracting middle-class residents, and working-class and poor people were priced out—one reason other model tenements didn’t last long either. The two West Side Phipps tenements still stand, but the 31st Street complex was demolished decades ago. It’s the oldest public hospital in the country, opening in 1736 first as a six-bed infirmary in the almshouse in today’s City Hall Park. 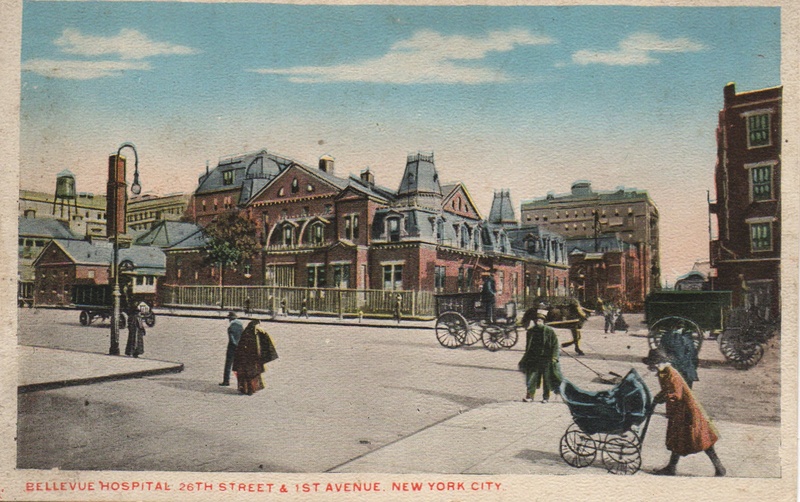 Soon after, thanks to a yellow fever epidemic, it moved to what was then considered way uptown, to the former Belle Vue Farm overlooking the East River near Kips Bay in 1794. This wonderful postcard view of one of Bellevue’s buildings at First Avenue and 26th Street is undated, unfortunately. I’d place it at about 1900, after the hospital had already racked up an impressive number of firsts: the first maternity ward, the first emergency pavilion and ambulance service, the first appendectomy, the first hospital with a building devoted to the insane and a unit specifically for alcoholics. 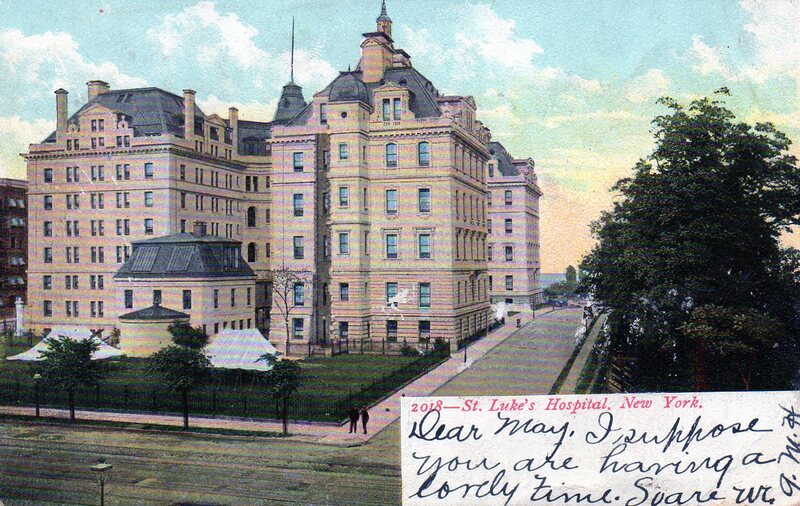 It’s only the early 1900s in this penny postcard of St. Luke’s Hospital on Amsterdam Avenue and 114th Street, probably no more than a decade after the hospital moved there in 1896 from its original home on Fifth Avenue and 54th Street. Morningside Heights is practically the country: wide avenues, few pedestrians, and a peek at the Hudson River in the back of the facility.